Croxfest goers pledge their support to Buy Local! On Saturday, thousands of people of all ages, came together for Croxfest music festival. The annual event is always popular for locals, and this year the green was filled with record numbers, enjoying the music, great atmosphere and having lots of fun! We think that Croxfest is fantastic and shows the true sense of a community coming together! It's organised by volunteers, sponsored by The Croxley Green Society and local businesses for a free event for local people. And it doesn't stop there in what it gives back to the community, money from collection buckets on the day raised a total of £2,400, which will be split between local charities, including Peace Hospice. 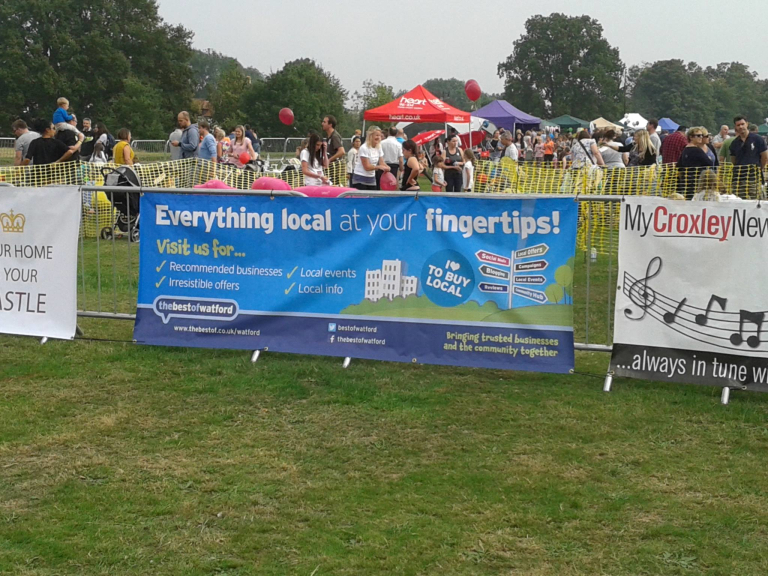 At thebestof Watford, we were delighted to support Croxfest, not only as a sponsor but also to spread the word about Buy Local and asking goers to pledge their support to buy from an independant Croxley Green business. Every pledge was entered into a free draw to win two tickets to see John Illsley & his Band and the Dire Straits & Beyond at Watford Colosseum in October. Buy Local supporter and winner, Kelly E pledged her support and said that the local family run garage, TH Motorsport, were “a friendly, trustworthy and reliable business that doesn’t cost you the earth”. If you were at Croxfest, please post your feedback on their website Croxfest Feedback. Your support is essential in Croxfest taking place. Well done Kelly. Well done Croxfest! See you next year!